Being a client-centric organization, we are engaged in manufacturing and exporting Tear Off Bolts. Used for wide variety of fastening purposes. 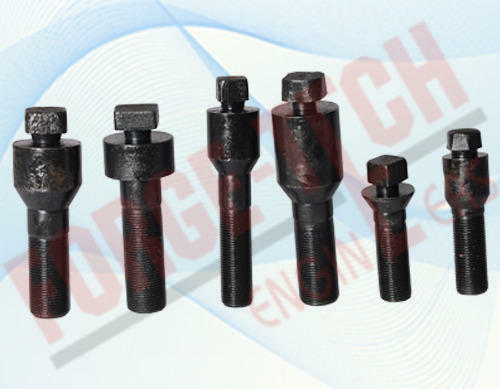 Started in the year 2000 at Ahmedabad (Gujarat, India), we “Forge-Tech Engineers” are a Sole Proprietorship firm, engaged in manufacturing, exporting of finest quality array of Automotive Nuts, Head Bolts, Allen Cap Bolts, Liner Bolts, Industrial Bolts, Auto Fasteners, etc. These products are highly-appreciated for their corrosion resistance, sturdiness, high strength and easy installation. We export our products to various countries Nepal, Germany, London, America, Russia, South Africa, etc. Under the leadership of “Mr. Dharmendra Panchal” (Proprietor), we have been able to cater bulk necessities of patrons in efficient manner.